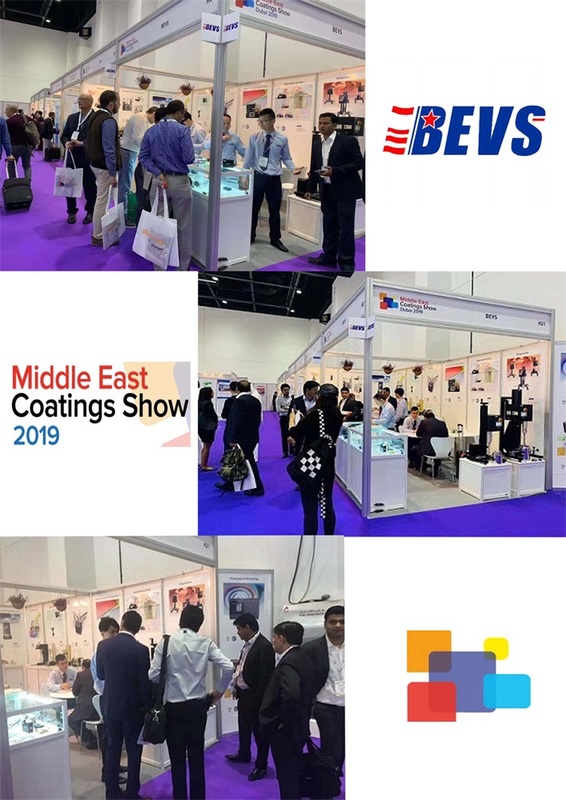 With the excellent appearance, advanced innovation technology and precise design of BEVS products, which has attracted many new and old customers from India, Pakistan, Saudi Arabia, the United Arab Emirates, Lebanon, Oman, Kuwait, Turkey, Egypt, Iran, Italy and other countries to visit our booth. 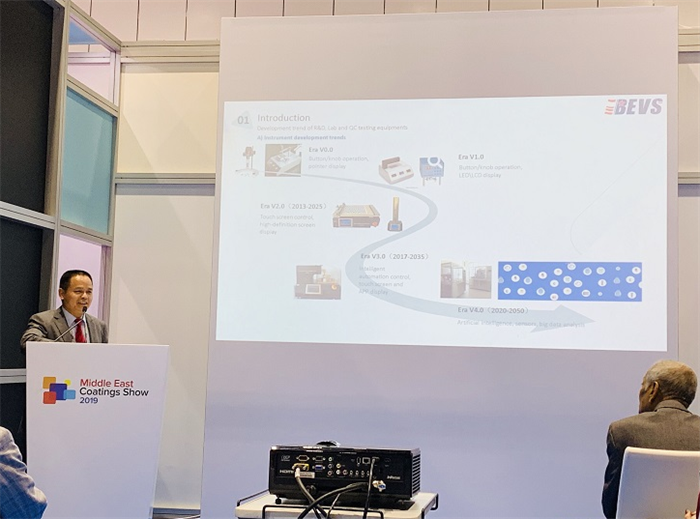 Especially the Automatic Film Applicator, Intelligent Mixer, Intelligent Cone and Plate Viscometer, Intelligent Krebs Viscometer which has won high praise from customers. 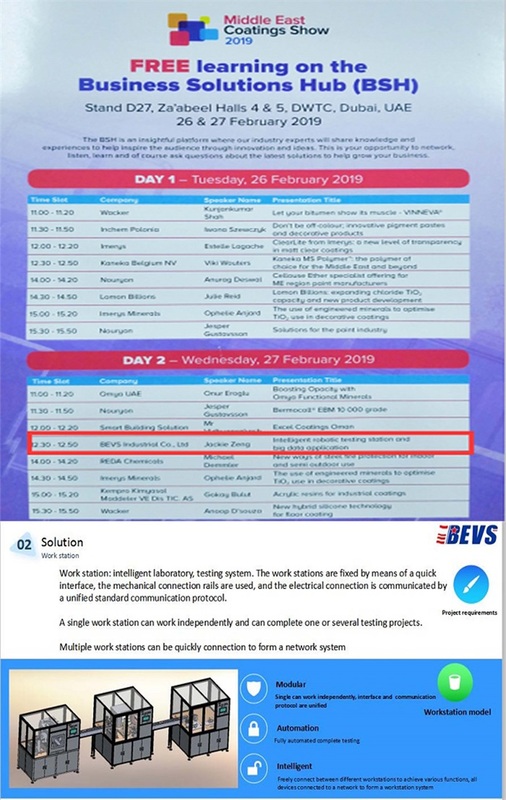 During the show, BEVS was invited by the organizer DMG to give a speech about "Intelligent Work Station for Paint Testing and Applications", which was strongly recognized by the audience and promoted the cooperation of laboratory intelligent projects. 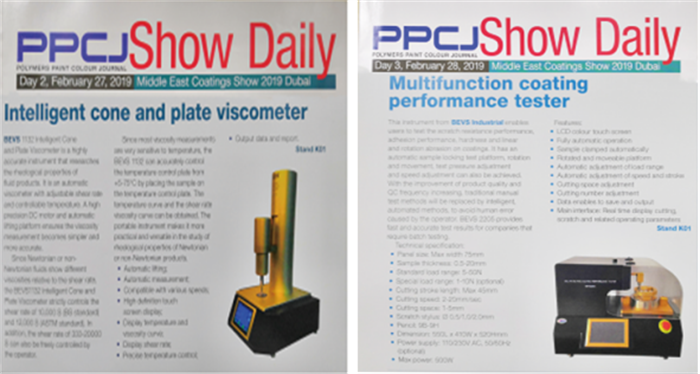 Due to the high quality of our products, DMG Company, the organizer of the exhibition, once again published the latest BEVS products on its 2nd and 3rd day magazine so that more customers know our products.